The launch of the Fuzz was a huge milestone moment for NS. It was a complex project that proved to be a really serious challenge for our team. But looking back, we have to admit it - it’s a f&^%# great bike! The Fuzz has been thrashed and flipped by Sam Pilgrim, Sławek Łukasik and the Swiss Downhill Syndicate and it’s proved itself in the racing environment, taking podiums at major DH events worldwide like the Downhill European Championship last year. 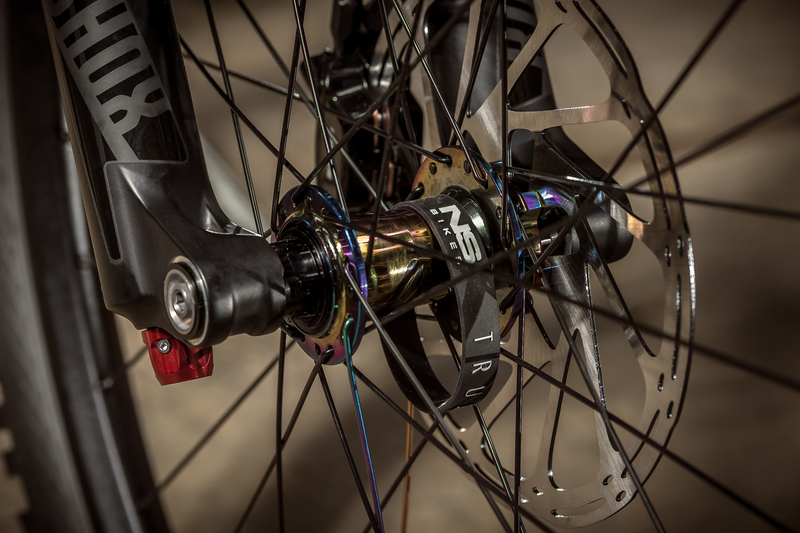 The frame has truly modern DH geometry - it's low, slack, and has a very short rear end with a roomy front triangle. 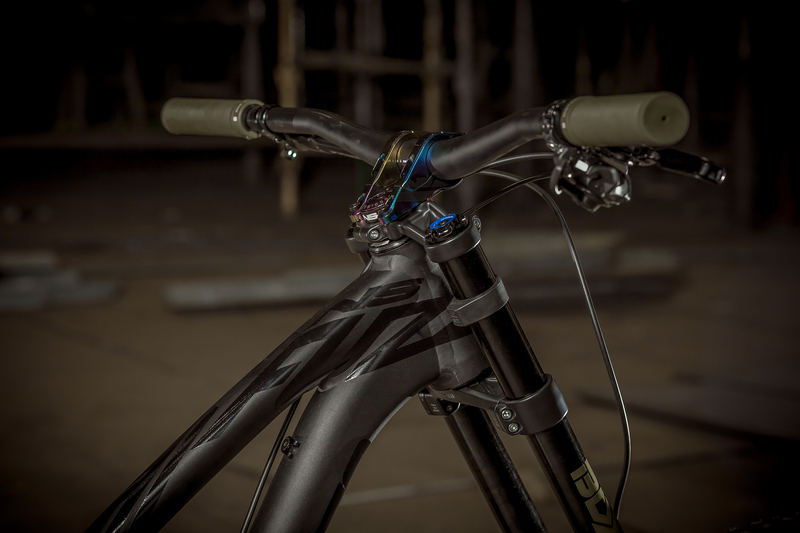 Thanks to the adjustable dropouts you can set up the bike with a super tight rear end or you can fit the wheel in a more standard position to suit the characteristics for any track and riding style. The short position results in one of the tightest rear ends on the market. Thanks to this we could really open up the front end and benefit from massive stability and confidence improvements, yet still keep the wheelbase (hence manoeuvrability) under control. The Fuzz has a clearly progressive leverage ratio curve. The first stage of the travel is very supple and absorbs small and medium impacts. Towards the end of the travel, the frame becomes stiffer, and gives the rider a feeling of support, which results in predictable launches off jump lips and other obstacles that require getting air to clear. It's important to note that the characteristics are different on the short and long setting with a noticeably softer and less progressive feel in the long setting. The 4-bar Horst link suspension has a significant amount of rearward axle movement which helps to absorb square faced bumps. The system, unlike most other designs on the market (including virtual pivot designs) it is immune to brake jack (i.e. the torque generated by the brakes will not cause the suspension to stiffen). There is also a fair amount of anti-squat built into the design to counter pedal induced bob. The shock, which is the most heavy part of the frame is tucked away near the BB to keep the centre of gravity as low as possible. The Fuzz is available as a complete bike in 2 spec versions and as a frame. For 2017 the frame has undergone some small changes and tweaks including improved internar routing with rubber grommets. 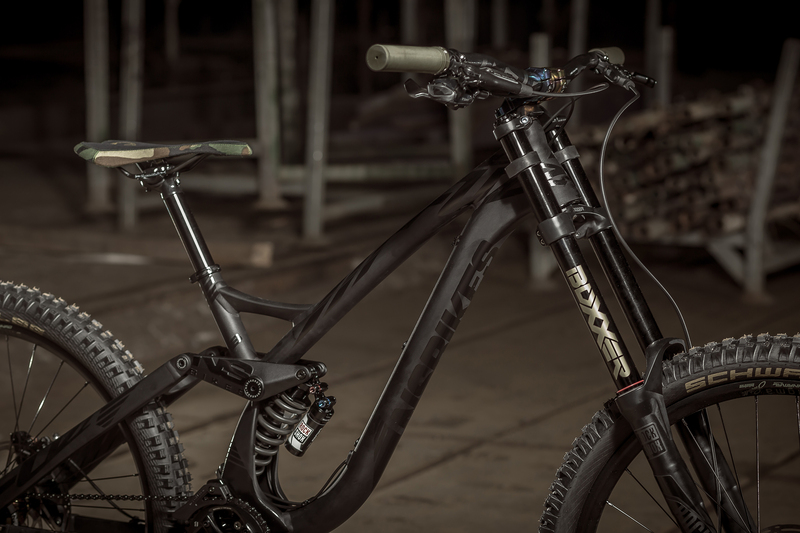 Read more about the bikes' spec here. 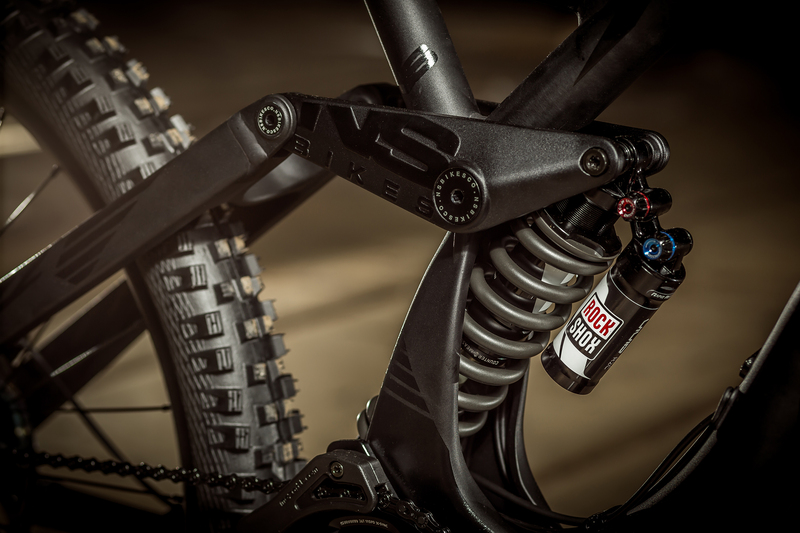 The development of all our product range was and will be very much influenced the riders. In case of the Fuzz we focus on cooperating whth the NS Bikes Factory Racing. The team built around Swiss Downhill Syndicate and strenghten with new signings - Sławek Łukasik (European DH Champion) and Carina Cappellari (multiple top ten finishes at World Cups ) will be competing on the highest possible level, supporting our RnD department with tons of feedback. 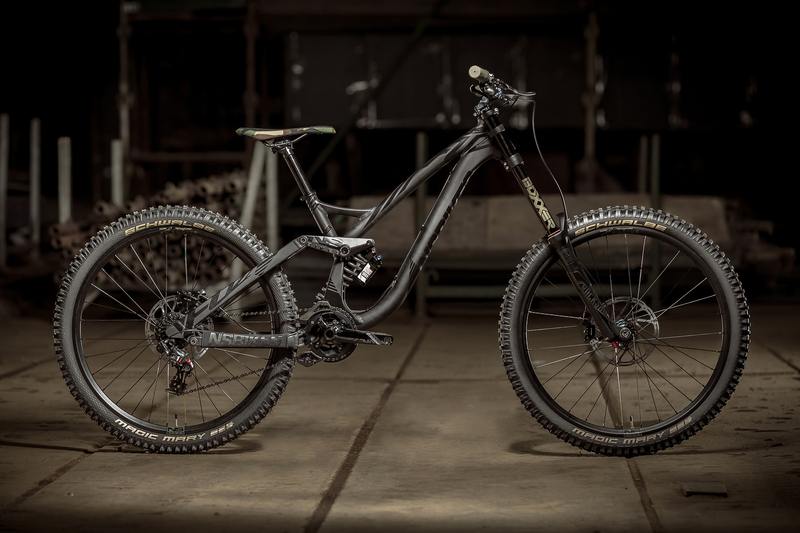 Gathered data will not only be used for the improvement of downhill frames and parts, but also the bikes from enduro and trail branch. The whole crew is very technically oriented, and the frames that they will be using are 2018 prototypes designed in a close cooperation with the team. We can't wait to see them in combat!